For many consumers, getting up and getting active can take some serious motivation. However, recent studies show why that motivation may be more necessary than ever -- especially for kids. A new 49-country, six-continent study explored the physical activity levels of children. The researchers found that three-quarters of the countries involved are failing to keep kids moving. The researchers point to several different reasons why children’s activity levels are on the decline, and they believe societies need to work together to help address this issue. “Global trends, including excessive screen time, are contributing to a generation of inactive children and putting them on a dangerous path,” said researcher Mark Tremblay. “We have a collective responsibility to change this because inactive children are at risk for adverse physical, mental, social, and cognitive health problems. Researchers from the Active Healthy Kids Global Alliance (AHKGA) worked to produce the Global Matrix 3.0 -- the culmination of their global study. From there, each country was given an overall average grade that represented children’s physical fitness in that region. Though 75 percent of countries posted failing grades, three countries that stood out from the pack were Japan, Slovenia, and Zimbabwe. The nations go about keeping children active in different ways, but the researchers conclude that the key is embedding physical activity into culture in some way. Japan enacted legislation that requires all schools to be built within reasonable walking distance from students’ homes, and officials advocate greatly for walking to and from school. Residents of Slovenia keep active with sports, as the nation views participating in sports as a great way to instill patriotism. In Zimbabwe, most children are active because it gets them from point A to point B. Overall, the researchers suggest that all countries take a look at these results and work to make improvements moving forward. Many researchers have explored the importance of keeping children active, and they agree with the experts from the AHKGA -- movement is key for many reasons. Earlier this month, researchers found that just one in three children reach their daily activity targets. Experts say that children should engage in at least one hour of “moderate-to-vigorous intensity physical activity” each day, though just three percent of the children involved in the study met that goal. 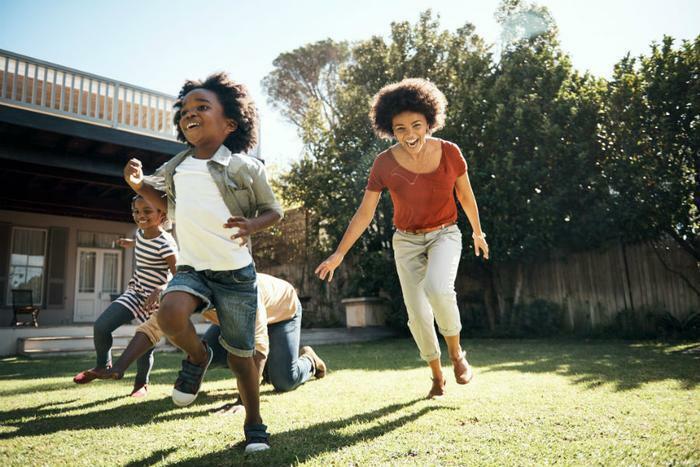 “We do know that most children aren’t doing enough physical activity, and that this has consequences not just in childhood, but in adulthood too,” said researcher Dr. Lisa Price. In an effort to keep kids’ activity levels up, Fitbit introduced a new smartwatch designed specifically for kids eight years and older. Fitbit Ace tracks the same activities as the original tracker -- such as sleep and steps -- but it also allows parents to monitor their children’s activity through the Fitbit app. The company is hopeful the kid-oriented watch will help motivate families to stay active. “As childhood obesity rates continue to rise, it’s more important than ever to empower the entire family to embrace a more healthy and more active lifestyle,” said Fitbit CEO and co-founder James Park.